Russia plans to take over  the role that Canada has played for so long: deny the scientific evidence and sabotage international safety requirements. The government fails to take safety measures to protect federal workers from asbestos harm and is indifferent to the plight of workers  exposed to asbestos because of the Canadian government’s unconscionable negligence. Kathleen Ruff is co-coordinator of ROCA (Rotterdam Convention Alliance), an Alliance of Environmental, Labour and Health organizations around the world working to promote the full and effective implementation of the Rotterdam Convention. 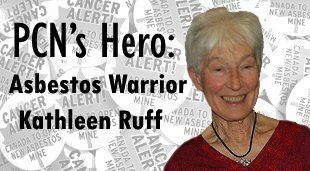 She is also a major contributor to PCN’s Ban Asbestos Campaign  and is founder of RightOnCanada.ca  and the author of Exporting Harm: How Canada markets asbestos to the developing world . Asbestos is one of the leading causes of occupationally-related cancer deaths. 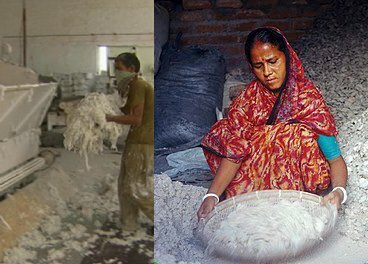 Because it can take many years for the inhaled or ingested asbestos fibres to cause symptoms, most asbestos-related diseases are first detected long after exposure to the mineral. 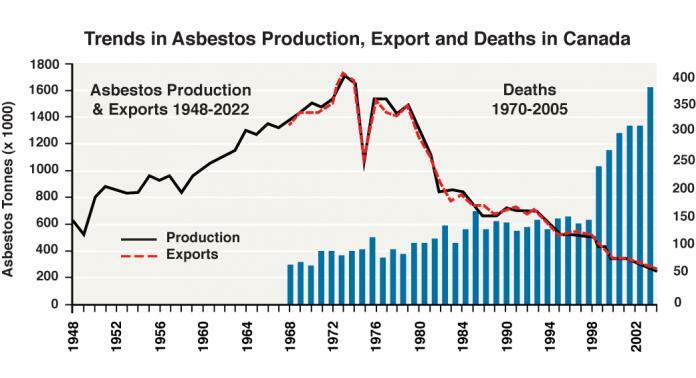 This long latency period  makes studying diseases caused by asbestos difficult for occupational health researchers. Canadian Public Health Association. 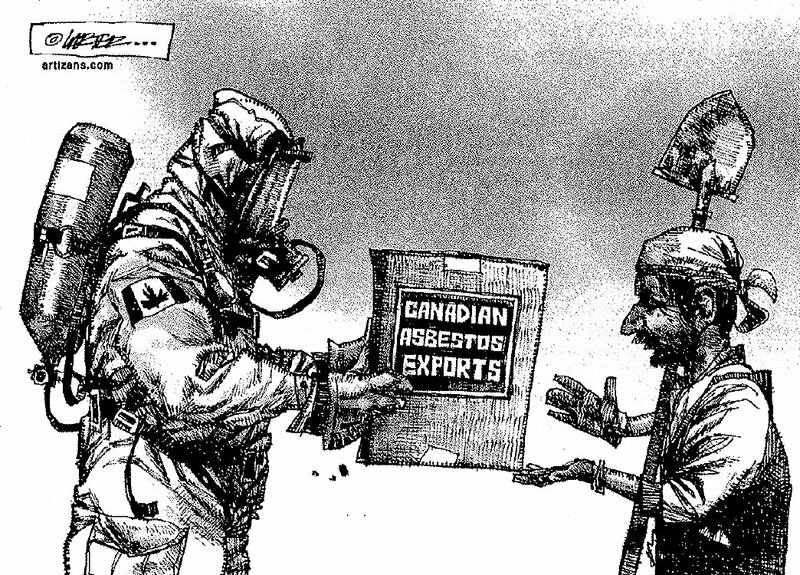 CPHA applauds the Government of Canada on chrysotile asbestos decision. 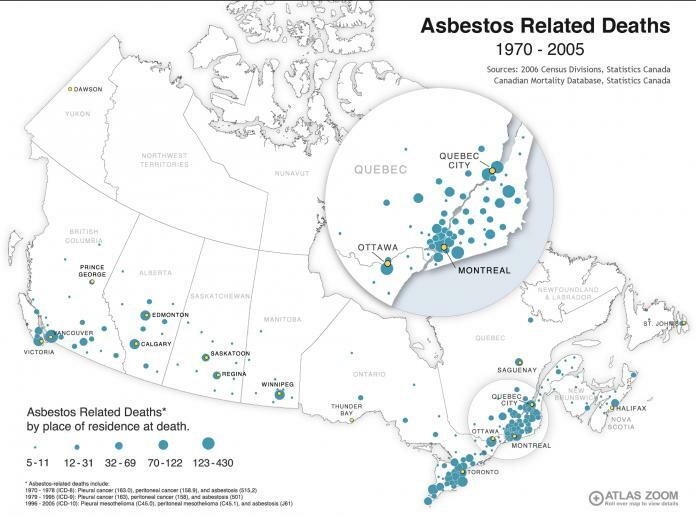 14 September 2012. http://www.cpha.ca/en/about/media/asbestos.aspx .